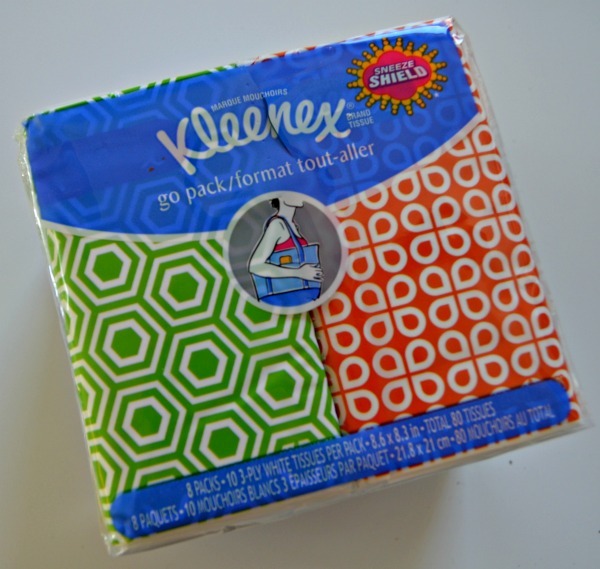 Kleenex Style on the Go and at Home – Test Your Fashion Sense & Enter to Win! What is one thing that you have always carried in your purse that your mom carried in her purse and your grandma and maybe even great grandma carried in hers? Lipstick – maybe, a pen – maybe, money – probably, Kleenex – definitely!! Kleenex has been around for 90 years and to celebrate its 90th birthday, they’re introducing another innovative first: The Kleenex Style Studio. 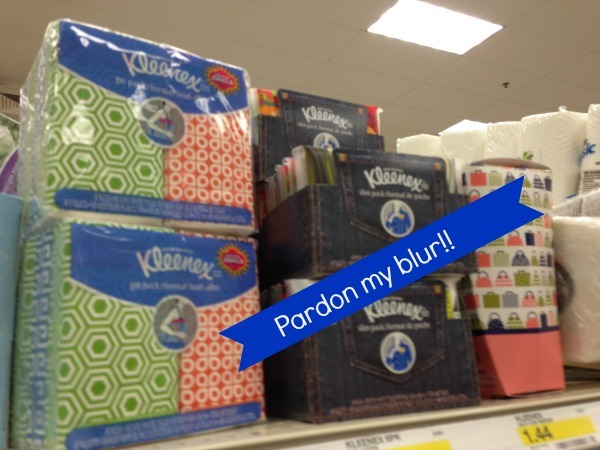 It’s a fun way to find more of the Kleenex® Brand designs and products we all love. With so many great designs….it can be hard to choose. PLUS the The Kleenex Style Studio has some other fun too. Find out some surprising things about Kleenex you probably didn’t know AND you can even enter to win! 1. Visit the Kleenex Style Studio landing page and click on “sweeps” tab in the top right corner of the page. 2. Then click “Play to Enter”. Plus, when you take the quiz, you’ll get a coupon to save on your favorite Kleenex® Brand designs and products. 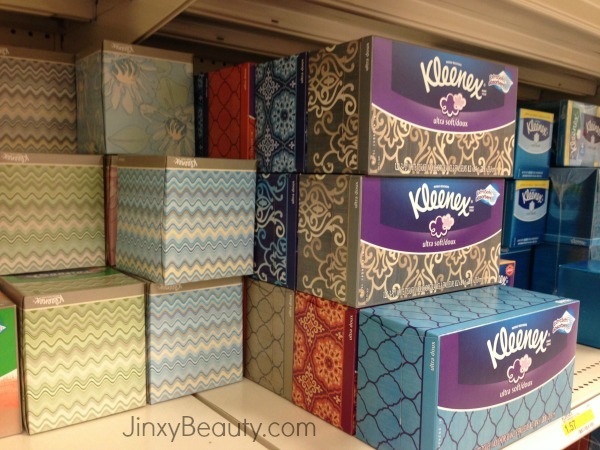 I headed out shopping to check out the Kleenex decorative tissue box options and was surprised to see how many options were available! Not only were there lots of choices for the home, they also had super cute options for on the go – whether it be for bags, backpacks, pockets or the car. I ended up grabbing a package of Kleenex Go Packs to slip in my purse. I loved the bold designs and that it came in several bright colors to add some flair to my bag. Check out my photos below and you can see how each of these colors and designs adds a little pop to my bag! Much better than that old crumpled up and BORING pack that was in there before! But I didn’t just look for Kleenex for my purse. I also looked for a great Kleenex design for my office. We recently did a little remodeling and got this great wall of cubby holes. I was hoping there would be a Kleenex style that would match well, and there was! So, what do you think? Are you ready to test your own Kleenex style? Make sure you visit the Kleenex Style Studio and take the quiz for your chance to win! This entry was posted in Uncategorized on February 10, 2014 by Chrysa. We definately stock up on kleenex. We need it all year round! I always have a pocket pack of Kleenex in my purse. I also love how stylish the boxes are now. They look really nice sitting around my home! I think there is some sort of law that states that if you are a mom you have to have a package of Kleenex on you at all times. I keep at least 2 or 3 in my purse. I like the Retro graphic designs on the little packages. Kleenx are a must-have around here! I like the cute styles of the packages. I love Kleenex Go Packs! They’re so convenient to throw in your purse. Those packages are super cute. And you just reminded me that my daughter pulled my pack out of my purse and pulled each tissue out one at a time and threw them on the floor! What a fun contest! I always keep these in my purse! This time of year Kleenex is a must! We love to coordinate our bigger boxes with our paint in our house and the ones in my purse, anything goes, they’re all cute! I love the new Kleenex boxes. They’re so stylish (for a Kleenex box!) and will fit in any decor! I always have a small pack in my purse too. I’m loving those graphic prints on their packages. 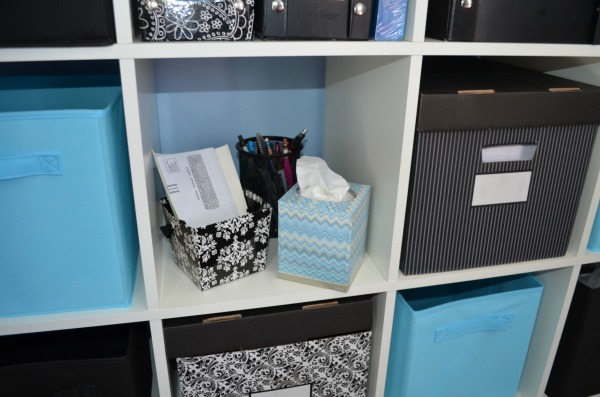 The Kleenex looks great in your office too! I like the designs – much better than the plain wrapper. 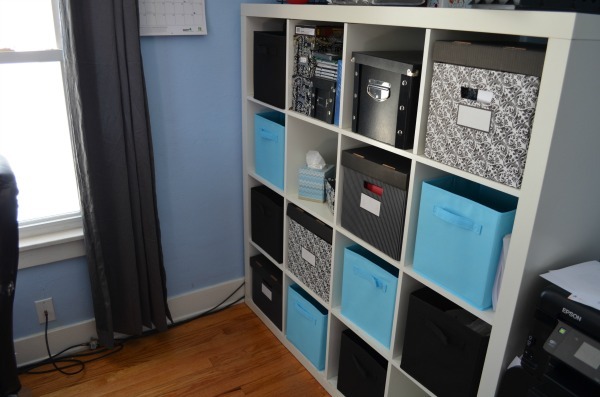 I like the design boxes – they add to a room decor. Well I never really thought that about kleenex as being cute and colorful but I do have to say the pop of color looks great on your purse! ! I love Kleenex…those new boxes are so fun and colourful. I love pretty Kleenex boxes! It makes them so much more fun! I think I have packs of Kleenex all over the place. I keep them at my desk, in my purse, my toddler’s bag, the car door. lol People joke about it – until they need a tissue!! I love the new Kleenex designs! Such cute patterns for any occasion. I participated in this campaign too! I love how fun the styles are now. I always have a small pack of Kleenex in my purse. I like that they make the boxes in so many different colors and patterns. I try to buy according to the room the Kleenex will go in, so it will coordinate! Such a fun contest. And such cute patterns to fun up the packaging. I always have a package of Kleenex in my purse! They’re so convenient and even the purse packs have pretty designs! So cool how it blends right into the office space. This is a great idea. They can be used to enhance a space and look pretty in our bags. I always have Kleenex, chapstick, and wipes in my purse…at…all…times. I love those two dark teal/blue colored boxes right behind the grey ones!! I’m going on a hunt for those! I have been using at least half a box of Kleenex the past week from this darn cold I have! I love your Kleenex style too! I have seen these. I really believe in color therapy so I think this is a brilliant idea. i love the that kleenex decorate their boxes. I like all of their fun and colorful patterns. Cute Kleenex boxes! They match your decor perfectly! We love Kleenex and I’m a huge fan of the new boxes. They’re so much better than the old boring ones!!! Plus, the bright colors really are therapeutic when you’re feeling down! I spray the back of my stencil with spray adhesive and let it cure a bit so it will come off my project. Then I lightly lay it over the letters so I have the placement the same as with the letters, then stick one edge down and move the letters completely out. Then you are ready to paint.